It is the moments that I allow myself to sit with vulnerable feelings that ultimately make me stronger. My week at the United was emotionally exhausting. So many feelings are rising in me right now, after reflecting on my time at the United Nations’ 60th Commission on the Status of Women (CSW). I can feel the highs and lows–all at same time. There was a heavy sadness heart as I heard story after story in the UN sessions of the awful things we humans do to one another around the world, especially the things unspeakable ways we treat women. I’m a sensitive soul and seem to feel everything so intensely. I truly don’t know how people attended these sessions and didn’t emerge with aching hearts after hearing such accounts from women all over the world. After a day of attending the African Caucus and speaking on panels about violence against women, I sat in the UN lobby with tears running down my face while reviewing all I had heard and witnessed; so many emotions and feelings. There was an abundance of love on many fronts, and yet so much separation and personal disconnect in other ways. Life is complicated as we walk through our journeys. I am constantly reminded of this. At the UN, amidst discussions of the atrocities of the world, I am surrounded by powerhouse women and organizations each fighting for a better future. 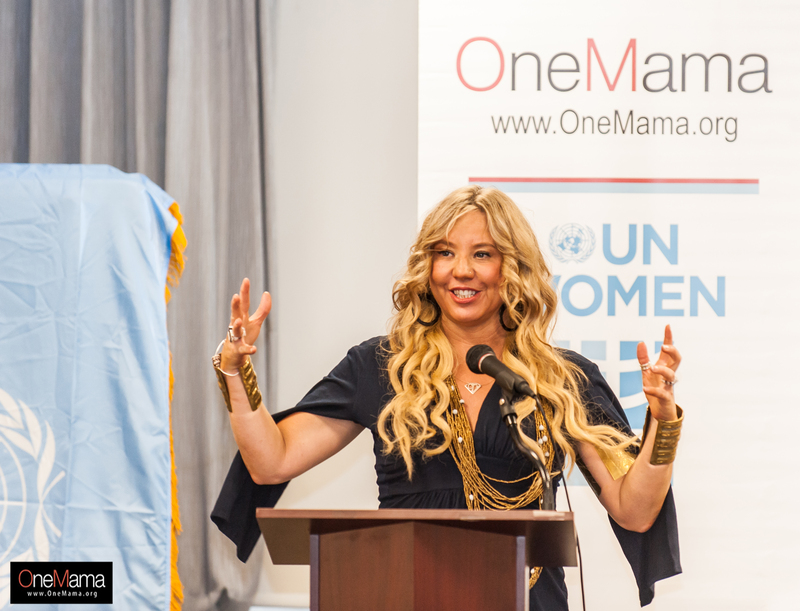 At our own OneMama Parallel Event, I was reminded of all the ways we women continue to hold each other up, advocate for one another, and celebrate one another. Love and lighting my way to joy tear by tear!